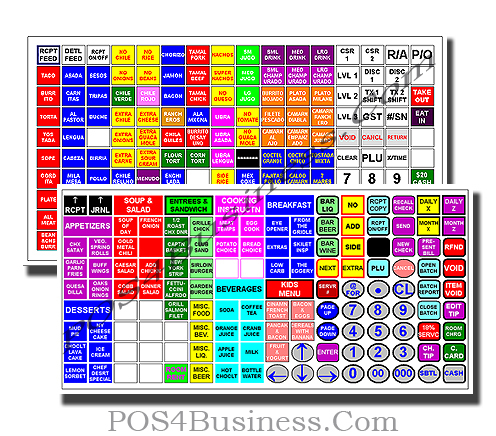 Let our knowledgeable technicians Design your Keyboard and Program your cash register before shipping it to you. We will save you Time and Money by having your ECR ready when you receive it. 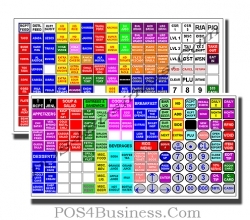 Once your order is placed, please email your programming information to Sales@POS4Business.com or fax it to us. Our staff will contact you and work closely with you on Designing the Keyboard and Programming it. PROGRAMMING DISCLAIMER- Basic programming purchased will include over the phone tech support for 30 days from the day the cash register is received/signed from the delivery service (UPS, FEDEX). Phone support provided will be for basic programming questions only. Any information not included in the INITIAL programming request will be determined at time of service if billable or as part of the original programming purchased. We ask kindly that you refer to your manual for basic programming questions when possible, prior to contacting us. PROGRAMMING RATES- Programming rates will vary depending on the amount of time taken to finalize your programming request. The programming fee is $25 for every 15 minutes, with a minimum of 15 minutes. Any billable programming fees will be paid upfront before we can assist you, and will be NON-REFUNDABLE. We ask kindly that you schedule an appointment with one of our staff, PRIOR to calling in for the actual over the phone programming support session. Note, please use caution when purchasing Electronic Cash Register online. You may find rock bottom prices at some websites, but be wary. Many websites selling cash registers are BOX MOVERS! and don't offer programming or any sort of tech support. We highly recommend that you your purchase your ECR from us, because we are Authorized Dealers for the products we sell and program.